The title is the only thing about the movie that’s simple. In 1990, theater-goers were astonished by the multi-layered, complex thriller Jacob’s Ladder . The big-budget film, starring Tim Robbins as a Vietnam War veteran whose life was collapsing in a Kafkaesque spiral of paranoia and hallucinations, quickly built a small but loyal following and influenced video games ( Silent Hill ), TV ( American Horror Story: Asylum ), and other films ( The Sixth Sense , arguably included). Ten months earlier, Brain Dead had come out and quickly sunken to the murky depths of cult cinema. 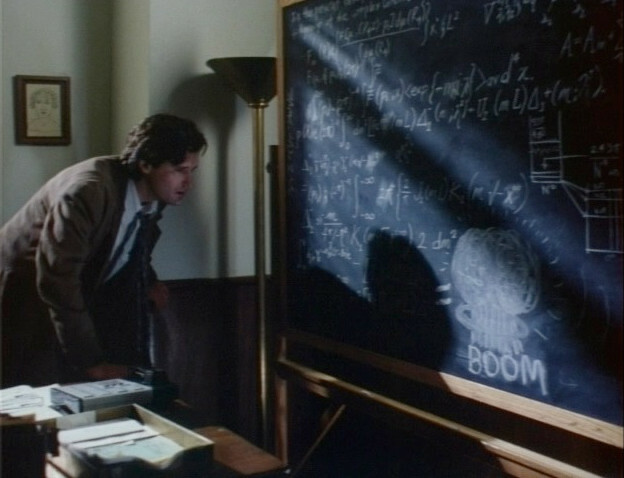 The main character of Brain Dead is Dr. Rex Martin (Bill Pullman), unless he’s actually Jack Halsey. He’s either a researcher studying the physical cause of paranoia, a mathematician working on a top secret formula for the Eunice Corporation, or an accountant for Conklin Mattresses. He’s probably married, but it’s possible that he murdered his wife Dana (Patricia Charbonneau). Just about the only fact you can rely on is that Jim Reston (Bill Paxton) only has his own interests at heart. Dr. Martin and his shelves of brains. If you believe the opening is real, Martin and Reston are old school friends. Reston is in a bit of a bind. One of his projects at Eunice depended on Jack Halsey (Bud Cort), who went insane and killed his family. 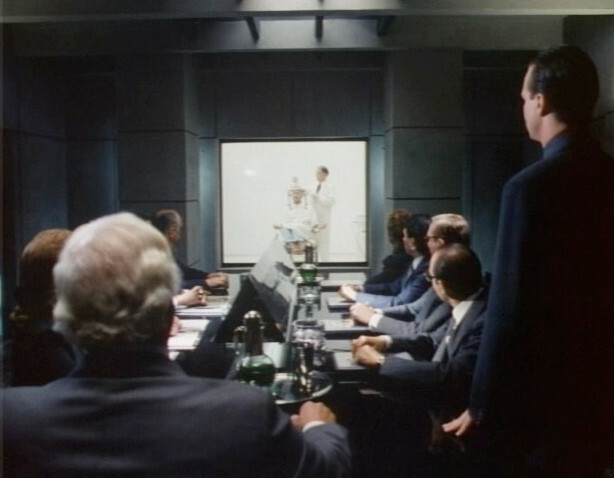 Reston wants Martin to use the experimental procedure he’s developing to extract the data from Halsey. After meeting Halsey, Martin’s life spirals into fragmented remixes of all of the previous facts, statements, and plans. Martin goes from doctor to patient, from killer to victim, as his mind splinters. Halsey answers questions while undergoing brain surgery. Brian Dead is a horror story in the EC comics vein, blended with a bit of noir and a touch of psychedelia. In seeking the truth about the human mind, Martin experiences the total breakdown of his own until he can finally face his own reality. It’s tragic and darkly funny to watch Martin plunge doggedly after his doom. He is in many ways an anti-hero. For all his anti-corporate rhetoric, he’s willing to perform an untested operation on a human subject to try salvaging his career. He’s already paranoid that Reston will take Dana away from him. The seeds of Martin’s descent were planted before Reston ever came to him about Halsey. 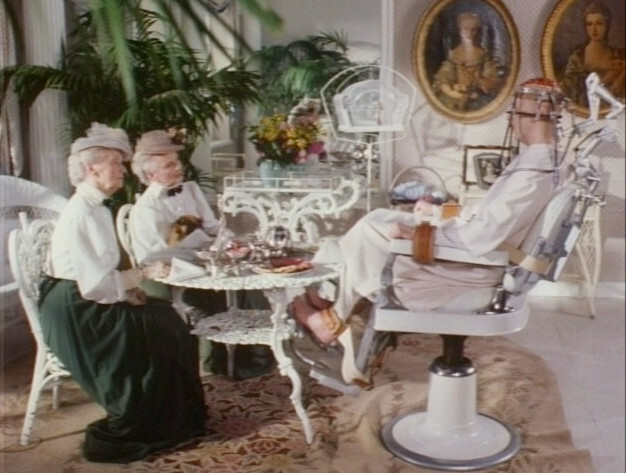 The heads of Eunice observe the surgery of Martin/Halsey. This one can be a real head-scratcher. A good chunk of the running time is devoted to the permutations of reality, which quickly becomes downright incoherent. This is cool material, and while it isn’t necessary to tell the story it’s what makes the movie as entertaining as it is. The leads are a lot of fun to watch, especially Paxton who turns in a wonderfully sleazy performance. While the effects are cheap, they’re toward the better end allowed by the Roger Corman budget and a lot of fun. It’s no lost classic, but it more than earns its cult cred for head-trippy weirdness. There’s one more thing that Brain Dead has in common with Jacob’s Ladder . Both movies’ scripts sat for a long time before being picked up for production. Bruce Joel Rubin shopped his script for Jacob’s Ladder around for several years to no avail, until Wes Craven filmed his adapted screenplay for Deadly Friend . Suddenly there was interest, but it took four more years and two studios to get it into theaters. 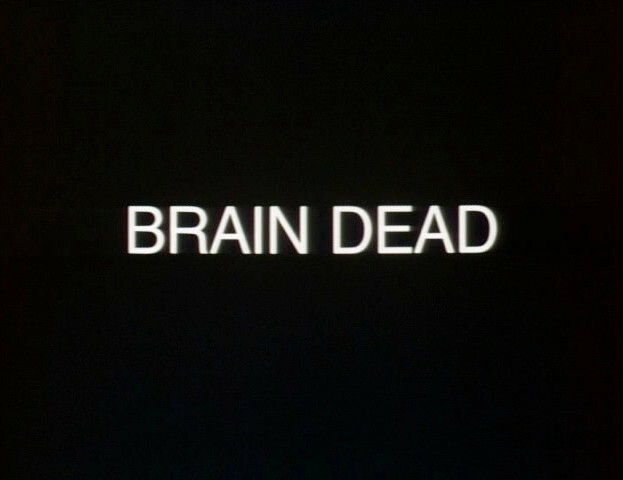 Charles Beaumont’s script for Brain Dead languished for decades in Corman’s slush pile, until Adam Simon gave it a quick update and filmed it. Just another strange twist to the story of 1990’s reality-melting film bookends.